Based around the Chroma-Q® Color Block's™ modular, multi-purpose design, the Chroma-Q Color Split™ features larger dual side-by-side RGBA cells. 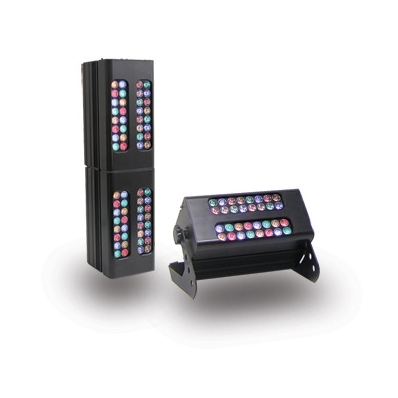 This ingenious configuration provides designers with the flexibility to light with a bold single colour or project a wide range of dramatic split colour effects from a single LED fixture - making it ideal as a truss toner for illuminating the uprights and crossbraces. A (no fixings): 250mm / 9.8"
B (no fixings): 136mm / 5.3"
Depth (no fixings): 125mm / 4.9"